Despite being a policy which has long been implemented in Indonesia, tax holiday is still inseparable from the argument whether it is required or not. A number of reviews have proven that tax incentives, one of which is tax holiday, is apparently not too effective in attracting foreign direct investment. 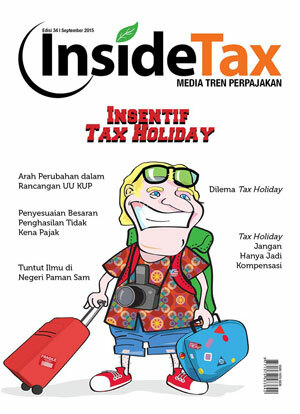 Then, is it essential for tax holiday to be implemented in Indonesia? If so, what is the appropriate tax holiday design to be implemented? Apart from new regulations regarding tax holiday, discourses regarding Undang-Undang Ketentuan Umum dan Tata Cara Perpajakan (UU KUP)/Law on General Provisions and Tax Procedures also enlivened this year. What changes of UU KUP/Law on General Provisions and Tax Procedures should be implemented by the government?